Running out of ink can be frustrating. Even if you’ve stocked up, it takes time to change a cartridge. If you're busy and rely on your printer, there’s an easy solution. 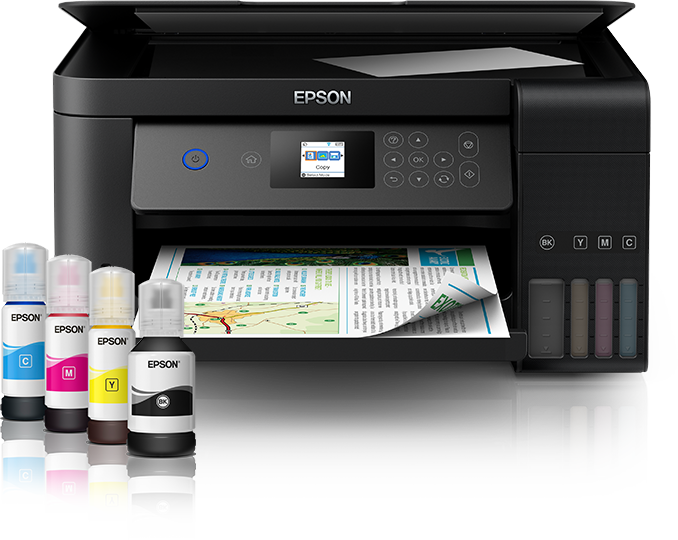 Epson’s EcoTank printer has an ultra-high-capacity ink tank system, that completely removes the need for cartridges. There's lots to love about Epson's EcoTank printers, but there's a few outstanding attributes that we think deserve your attention. These printers provide an ultra-low cost printing solution, plus they're reliable and easy to use too. Read on to find out more. EcoTank printers offer an ultra-low cost per page that could reduce your printing costs by up to 90%2. That's not surprising when you discover that they come with up to three years' worth of ink included in the box1. With specific EcoTank printers, you can print up to 14,000 pages in black and 11,200 in colour4. 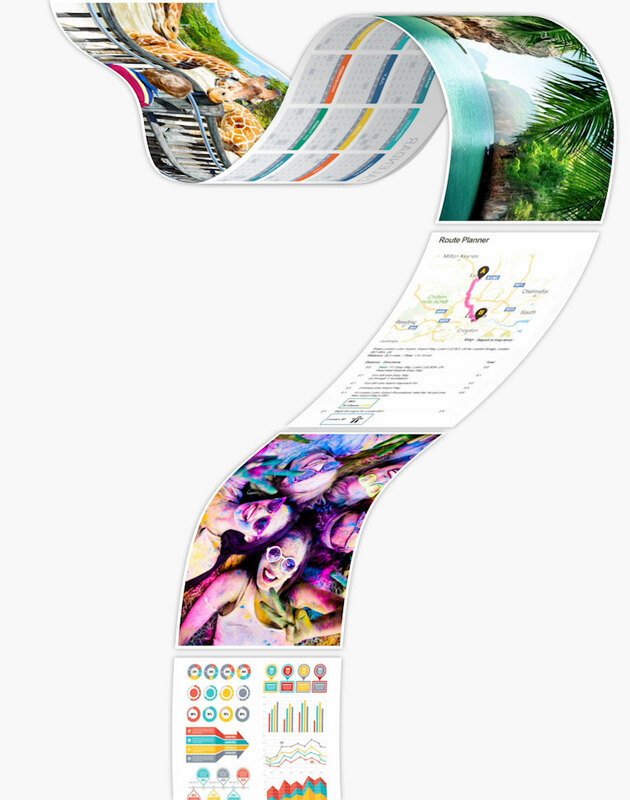 Thanks to the integrated high-capacity ink tanks, ink is supplied continuously to the printer. There are no cartridges to replace; you simply top up the tanks with Epson ink bottles and keep on printing. Not only is it more convenient, but because you get lots of ink included, it's much better value too. In fact, it comes with the equivalent of up to 82 cartridges worth of ink2. You can depend on Epson's Micro Piezo permanent printhead and Epson's genuine ink to produce high-quality prints with superb colour and clarity at high speeds thanks to its innovative, efficient and accurate printhead. This purpose-built ink tank is fully integrated into the printer, so you can enjoy reliable colour printing without the mess or hassle often associated with non-genuine refills and third-party ink tank systems. Epson genuine inks are produced in a clean-room environment and optimised to work with Epson's printers. There's so much more to EcoTank printers than their ultra-high capacity ink tanks. Like our extended printer range, you'll find that they offer a wide range of features. Save money and paper by printing automatically on both sides of the page. It's more eco-friendly too. Send documents to print from smartphones and tablets using the free Epson iPrint5 app. 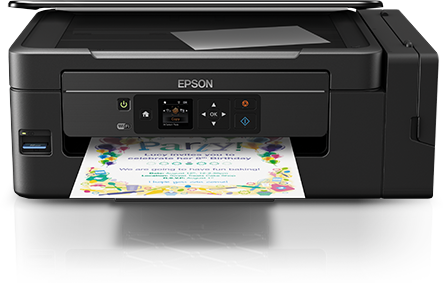 You can even email files to be printed from anywhere in the world via Epson Email Print5. All Epson EcoTank printers come with a standard one year warranty or three years with a promotional warranty6. Epson's next generation of hassle-free EcoTank printer comes with an enhanced ink filling system that minimises the risk of spills and mess. At every stage it minimises spills with bottles that are easier to open, easy to pour and feature a mechanism that ensures the right tanks are only filled with the corresponding colour. Choose an EcoTank printer with features that suit your needs. There are over 20 models in the EcoTank collection, with models designed for home, home office or small business requirements. Unlike some other printers on the market, EcoTank printers feature a built-in permanent printhead for hassle-free, reliable printing. You can print thousands of pages with the ink included in the box. When you eventually run out, additional ink bottles are available at an affordable cost. Use our online cost calculator to see how much you could save with an EcoTank printer. The best printer I have ever owned. I absolutely love my new printer! It's so practical, cheaper and far more eco friendly using ink bottles to fill up the tanks, as opposed to constantly buying ink cartridges! 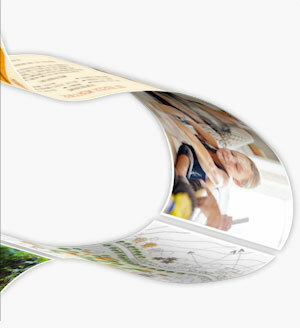 The print quality is fantastic, images print beautifully, even photographs print pretty well! My favourite printer!! Epson, you are on a winner with this one!! First Impressions of this printer? Fantastic!! Of all the many Epson Printers I have owned over 20 years, this one is the business, and by far the best to date. It is the first printer that has not left me covered in ink after its first setup. I cannot recommend this printer enough, it ticks all the boxes for me, Epson you are on a winner!! Great quality printing, scanning, copying and its footprint is relatively small considering what facilities it has. Having tried many different printers over the years, I am really very impressed with the L565. It looks good, it is very easy to set up and I have found it to be extremely user-friendly. We are a large family who all use a printer a lot and the printer responds very quickly and is easy to connect to via our different computers and devices. The print quality has been excellent so far and I have also been impressed with the quality of the copier. The refillable tanks are a genius idea. We filled up when we set up the printer and after three weeks of daily use, hardly any ink has been used and I like the idea of the bottles of ink as it makes refilling the tanks easy and you don't have to worry about buying expensive ink cartridges as the ink bottles are very good value as they will last a long time before needing to be replaced. Setting the printer up took around forty minutes and you follow instruction on the printer and the computer and filling the tanks takes a few minutes. Set up is helped by the good sized display panel and easy to use controls and unlike other wireless printers that I have used, I have been able to connect to this printer each time, straight away with all devices which has been really helpful. The printer is quite big but it looks good and the refillable tanks are tucked away under a cover so that younger children won't be able to mess with them. Apart from printing and copying, you can also use the L565 as a scanner and a fax, I haven't used it as a scanner yet and I don't have a telephone line to use the fax, so I can't comment on those functions. Our Epson EcoTank printer is definitely one of the best that we’ve come across. It was stress-free to set up and connect to the computers and filling up the ink tanks was much easier than installing cartridges. The fact that it comes with four bottles of ink (apparently enough for 4,500 pages in black ink and 6,000 in coloured) is also a wonderful addition to get you up and ready. The only thing to be aware of is that it takes up to 20 minutes for the ink to 'charge' once installed, so ensure your ink is topped up well before any printing emergencies might occur! It prints, copies, scans and faxes as it says. We were initially concerned that the location at which our printer sits is nowhere near a phone line and worried this might affect setting it up. Fortunately this wasn't a problem as the Wifi facility enabled us to set it up directly with our home network without any issues. The telephone cable is optional to use, required only if setting up the fax facility which we felt we didn't need. We love that we can print from our smartphones using the Epson iPrint app and we can even send over a print job when we’re out and about from anywhere in the world! We were extremely impressed with the Scan to Cloud function. When you scan it immediately sends it to any selection of destinations that can be added and saved through your Epson database. These destinations can include email addresses or your Google Drive (amongst other options). Simply enter the details once within your user database and you can thereon in select your chosen destination directly from the machine each time you scan. The machine is stylish and aesthetically pleasing. It doesn't take up too much space yet is sturdy and of a high standard of quality to reassure us that it will last for years. We’d wholly recommend this printer to anyone whether you’d use it for every day family life, home offices or even for your business. And if we’re able to save approximately 70% of our printing costs by using it as Epson states, that makes it even better! Can't understand why the other main printer manufacturers have not produced a same type model. Without doubt the tank system is the way to go,yes a lot more expensive than the cartridge type but a little mathematics will prove the true worth. After set up it's a breeze to use. I love the wireless printing functionality which I know isn't new technology but being able to print for anywhere is pretty cool. I leave the printer on so that I can remotely print at anytime which does mean it makes a noise now and again shortly after use- not an issue or loud but it does make the dog jump! The printer comes with a lot of ink which is great as most printers just come with a bit of ink to get you going. This somewhat justifies the higher price for the printer. The best printer I have ever owned. I absolutely love my new printer! It's so practical, cheaper and far more eco friendly using ink bottles to fill up the tanks, as opposed to constantly buying ink cartridges! The print quality is fantastic, images print beautifully, even photographs print pretty well! My favourite printer!! 3 years' worth of ink based on average monthly print volumes of 290 pages for EcoTank home and office printers. Calculations are based on the lowest bundled black ink yield for the following printers; L4150, L4160, L6160, L6170, L6190. The comparable ink cartridge calculation is based on the lowest yield cartridge used in the top 20 competitive A4 inkjet printers according to the IDC EMEA Hardcopy Tracker (Data Q4 2016) in the period January 2016 – December 2016. The calculation was based on the competitors’ standard cartridge yield divided by the average Epson EcoTank printer’s bundled yield. Quoted yields are extrapolated based on Epson original methodology from the print simulation of Test Patterns provided in ISO/IEC 24712. Quoted yields are NOT based on ISO/IEC 24711. Quoted yields may vary depending on the images that you are printing, the paper type that you are using, the frequency of your prints and environmental conditions such as temperature. During the initial printer setup, a certain amount of ink is used to fill the printhead’s nozzles, therefore the yield of the initial bundled set can be lower. Requires a wireless connection to the internet. For more information, supported languages and devices please visit www.epsonconnect.eu. For more information visit www.epson.eu/extended-warranty. Taken from a survey carried out by OnePoll, on behalf of Epson, in August 2015. 8,000 European consumers across Germany, Italy, Spain and the UK were surveyed.